In 2016, there were 125 motorcycle fatalities – a 15 percent increase from the number of motorcycle fatalities in 2015, and a record high for Colorado, according to the Colorado Department of Transportation (CDOT). 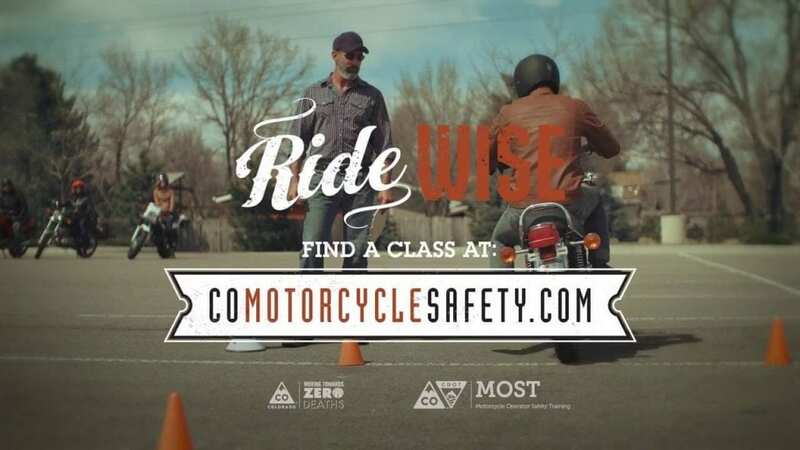 CDOT’s “The Best Never Stop Training” safety campaign is being launched this month due to the rising number of motorcycle fatalities over the last few years and to encourage riders to participate in motorcycle safety training courses statewide. The safety campaign includes online videos, posters, digital banners and billboards that aim to encourage motorcyclists of all skill levels to continue learning how to improve their expertise. “These motorcycle operator training courses not only educate riders on best safety practices, but also help develop each individual’s skillset, whether you just bought your first bike or have been riding for years,” said Sam Cole, Safety Communications Manager for CDOT. According to CDOT, 61 percent of those in 2016 motorcycle fatalities were not wearing a helmet at the time of the crash. Additionally, CDOT says the majority of motorcycle fatalities last year happened between the months of May and October, when motorcycle riders take advantage of warmer weather. Officials say 43 percent of fatalities last year were between the ages of 18 and 34, and the majority of fatalities were men.